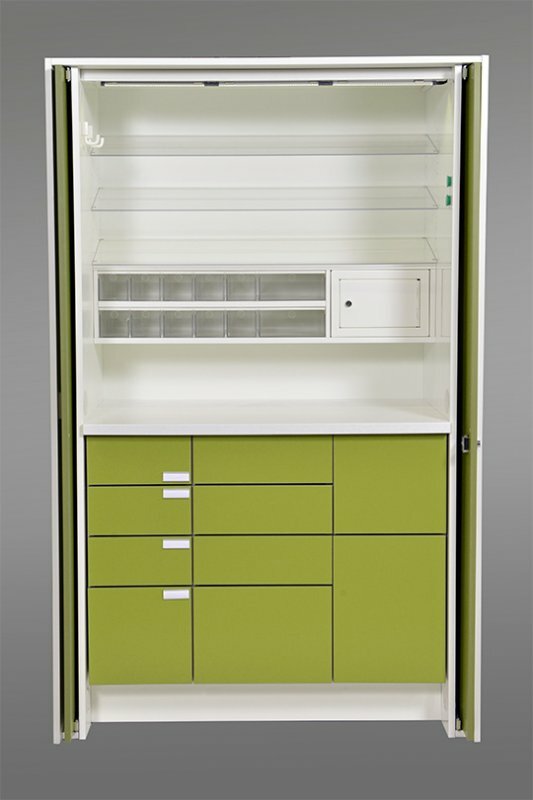 Module 3 A is a modular medicine cabinet that meets all the requirements for the storage and processing of medicines in one complete product, and is both practical and pleasant to use. 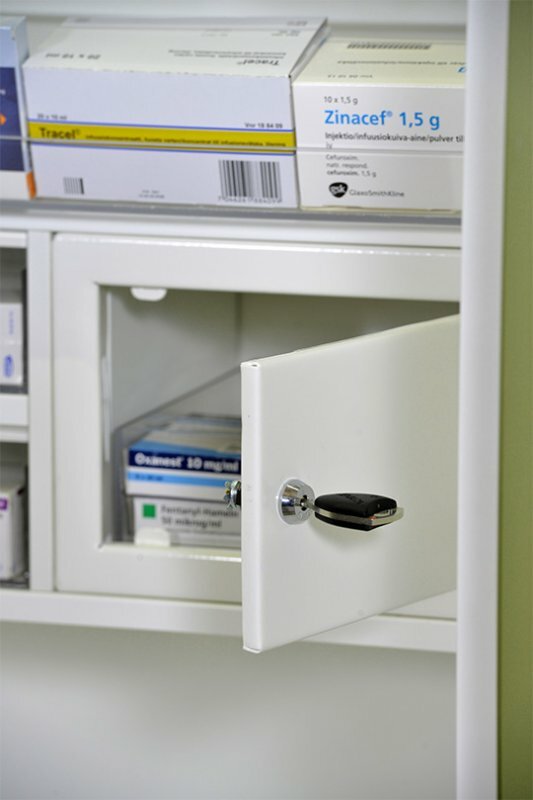 The medicine cabinet is accessible and secure for those using it, thanks to its doors, which slide into the cabinet and out of the way when opened. 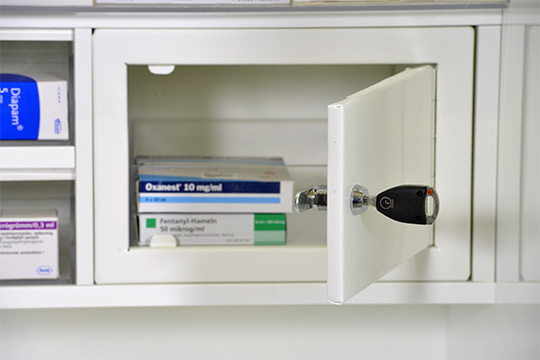 The medicine cabinet’s internal module arrangement can be designed to suit the customer’s needs, and can easily be changed as needs evolve. There are a number of different models available for internal modules, and these can also be tailored to meet specific requirements. Sets of drawers and waste trolleys can, if necessary, be equipped with an electronic opening mechanism. 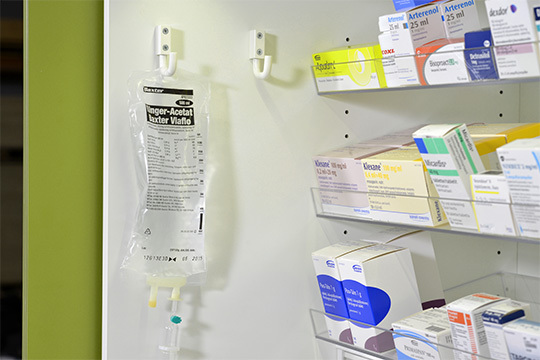 Due to the measurements and structure of the medicine cabinet, it can be transported on a pallet directly to the installation site. Structure and material The structure has a laminate finish and is water resistant, with a plastic edging strip along the edges of the panels. Antibacterial laminate is also available as an option. Shelves and lockers are made of clear polycarbonate. The worktop is either a laminate panel or a Corian panel. Colours The frame comes in white laminate as standard. 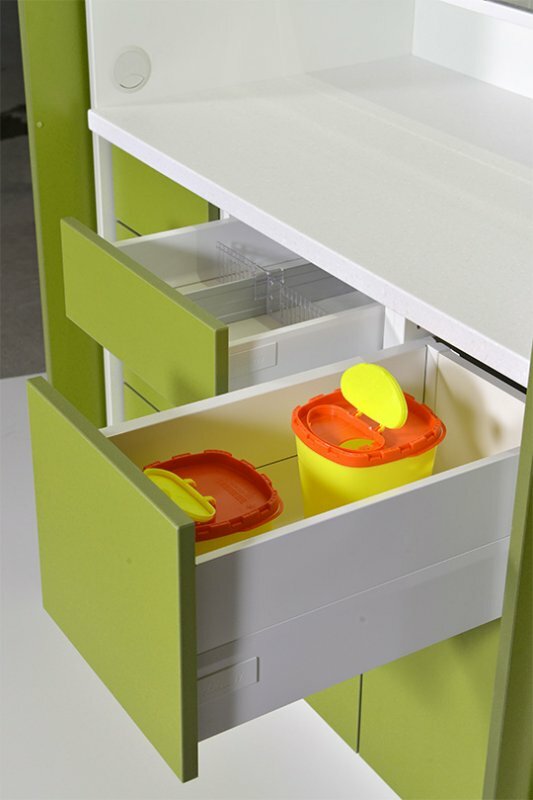 The colours of the worktop, doors and front panels of the drawers can be chosen by the customer. Colours recommended for worktops from the Corian colour range can be used for the worktop.